generator backup of power systems for various property buildings. ground mounted solar tracking panels. • Design/Build of custom interior office space utilizing smart technology. • Custom designed furniture and leisure area. • Design/Build of art studio. 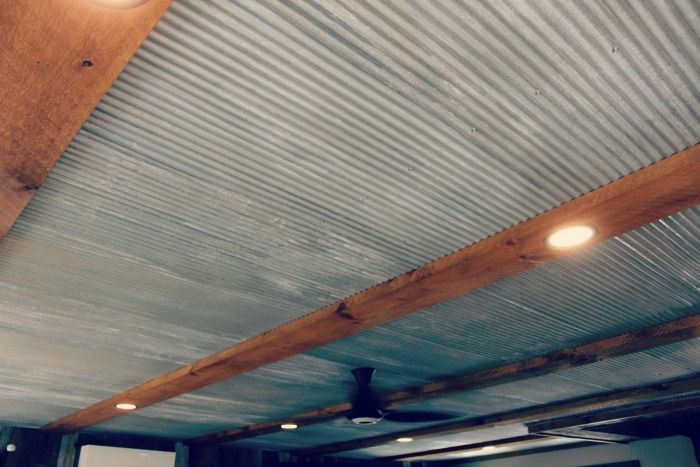 • Installation of recycled barn board for custom interiuor wall finishes. were acid washed for antique visual affect. with water, mechanical, and electrical infrastructure. 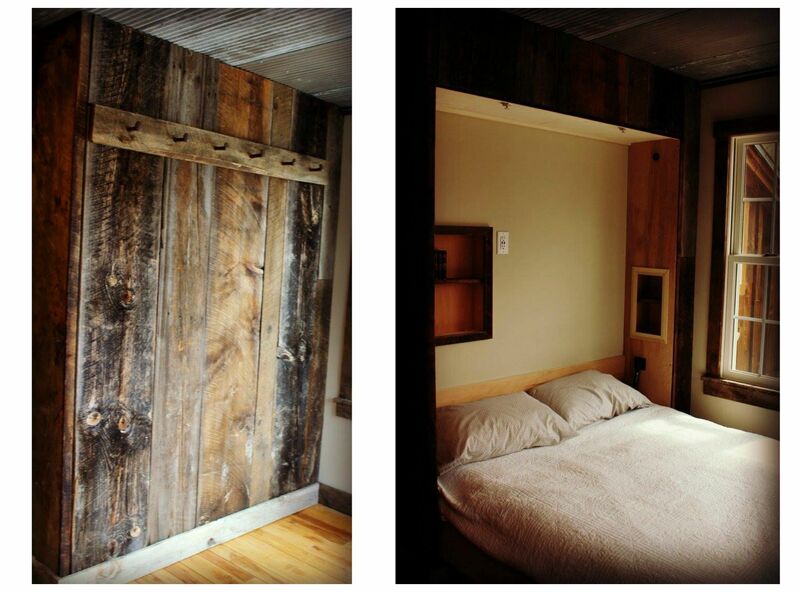 This custom bed enclosure was made using the same restored barn board that was utilized on the walls of the office. Pistons aid in the operation and custom storage compartments above hold pillows. Three small book cubicles are revealed upon opening. The outside of the structure includes traditional railroad spikes that have been installed to provide daily storage of clothing, creating a traditional peg storage area. and was hand acid washed to give antique character. The recessed lights are recessed into the beams in order to create a flush low profile look. A wireless smart fan on the ceiling for air distribution has been installed and added to the smart home technology program. 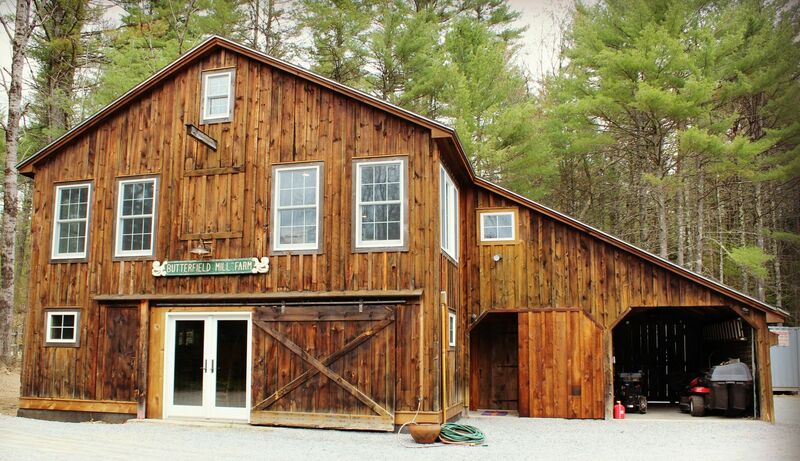 The interior of this office/barn has utilized recycled barn board of various textures and colors. Visual affect was intensified by installation of random width boards in a vertical pattern. Utilizing recycled antique materials creates a timeless atmosphere. This spiral staircase maintains residential code compliance. The staircase was installed utilizing custom hickory treads which have been scribed to allow for the metal ballustrade to pass through them. 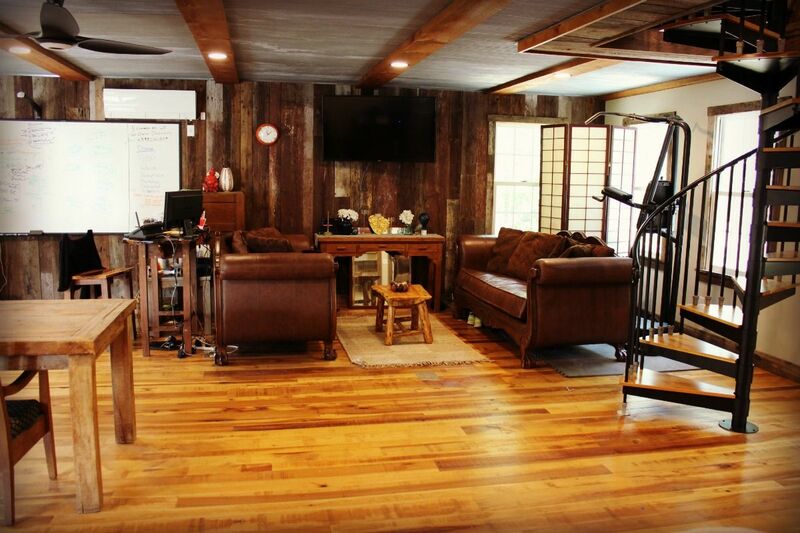 The wood tread create a continuation of the skip planed hickory flooring of the office. 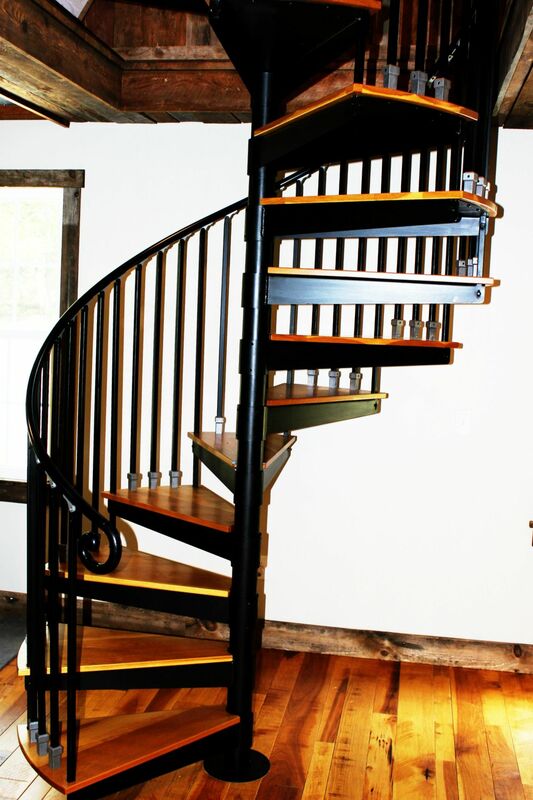 The spiral staircase provides access to a storage loft above while demonstrating non overpowering visual effect.